MS-650 supports synchronized capturing of multiple sources through HDMI/ VGA/ RJ45 interfaces, it is compatible with network cameras, laptops, PCs, digital microscopes, wireless microphones etc. * Supports DVI and component video cable inputs when using appropriate DVI to HDMI or component to VGA adaptors. AREC MS-650 can simultaneously capture, edit and record up-to 4 1080p sources and stream out 1 mixed movie to share it with a wide audience. 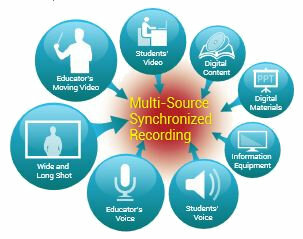 With AREC MS-650 media stations, the entire interactive course can be recorded simultaneously with multi-camera angles. 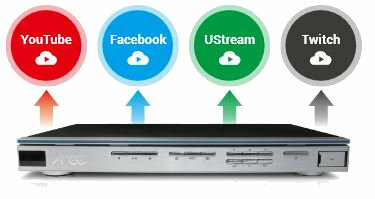 Supporting multi-source switching and mixing, MS-650 provides multi-source live streaming to broadcast the live image and voice of an on-going lecture or event on YouTube Live, Facebook, UStream, Twitch and other live broadcasting websites, allowing any participant to attend at any location in the world. With 1TB built-in hard drive, MS-650 not only stores hundreds of hours recording videos but also enhances the overall efficiency. Besides, MS-650 has built in online director that is used to control and monitor the cameras’ field of view, camera mount precision movement, image source switch, image layout switch and audio mixer functions etc. 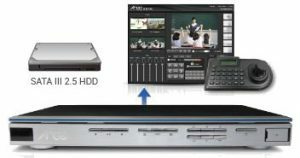 Equipped with the same AREC MS-650 media station in the 2 remote classrooms, a real-time interactive course can be achieved with 2-way communication for distance learning without adding any video conference equipment. 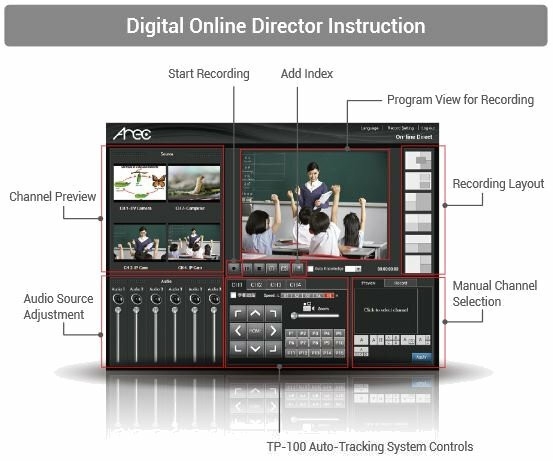 MS-650 comes with a fully graphical user interface utilizing information visualization in order to minimize the learning curve required. 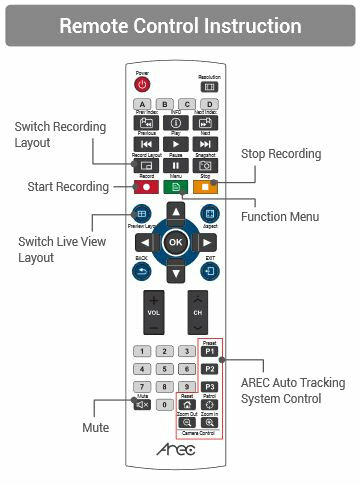 A remote control allows for easy operation of MS-650’s comprehensive capabilities including screen split, lecture recording and live streaming etc.